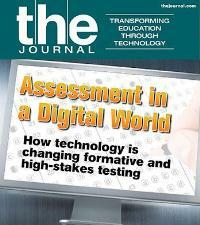 How technology is changing formative and high-stakes testing. Teachers often have a hard time embedding assessment in their instruction, but some technologies are making it easier. Can you use your iPads in the high-stakes online testing coming in 2014? A team of researchers travels the world to see what it takes to prepare students at home for their futures. Inaction by Congress and the impending sequestration could have a devastating impact on educational technology funding. Schools across the country are mapping their curriculum to the fantasy RPG World of Warcraft, and students are paying attention.